We have a range of versatile and cost-effective rooms to hire here at Providence Row's centre in Aldgate. Nestled in the heart of East London, Providence Row boasts a range of flexible meeting rooms and a beautifully kept courtyard garden. 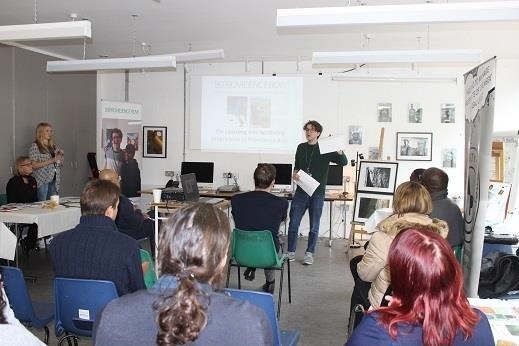 By booking a space with us you are not only getting a cheap venue for your event, you are also directly supporting our work providing advice, support and training for those affected by homelessness in East London. Our rooms are only available evenings and weekends due to our own activities taking place weekdays 9am -5pm. Our venue is alcohol free, so we cannot offer bar services. Flexible meeting and activity spaces at ground floor level. This room comes with access to a green and pleasant courtyard garden. Max. capacity: 30 (standing. Facilities: WiFi, flipcharts, whiteboard, projector. Perfect for: meetings, workshops, activities, conferences. "A beautiful, peaceful, light and airy space perfect for getting creative"
Our Art Room is a spacious studio which is used by the charity's art group during the week and works well as a meeting space for groups that want to get creative. Max. capacity: 40 (seated). Facilities: Wifi, flipcharts, whiteboard, projector. Perfect for: team building, away day activities, meetings, art exhibitions, arts classes. 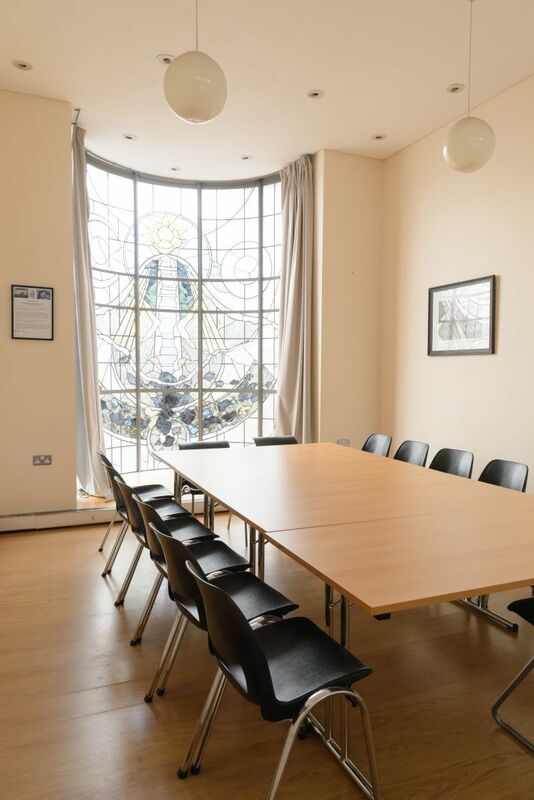 With it's fantastic stained glass window, this quiet meeting room is a great option for meetings or training sessions. 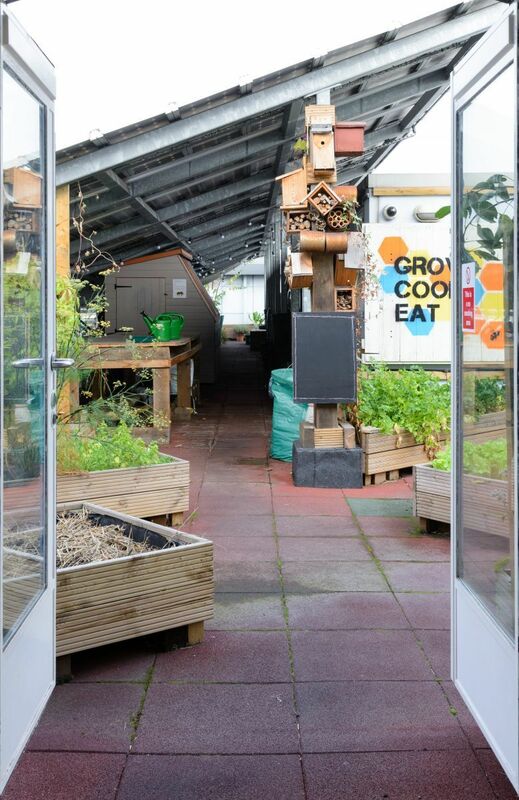 The room comes with access to a fantastic, recently refurbished roof garden full of flowers, herbs and vegetables. Max. capacity: 25 (seated). Facilities: WiFi, flipcharts, electronic whiteboard, projector. Perfect for: meetings, workshops, training sessions. Download and print our Venue Brochure for information on food packages and prices. For information or to reserve a space fill in our enquiry form and we'll get back to you as soon as we can to discuss your booking*.